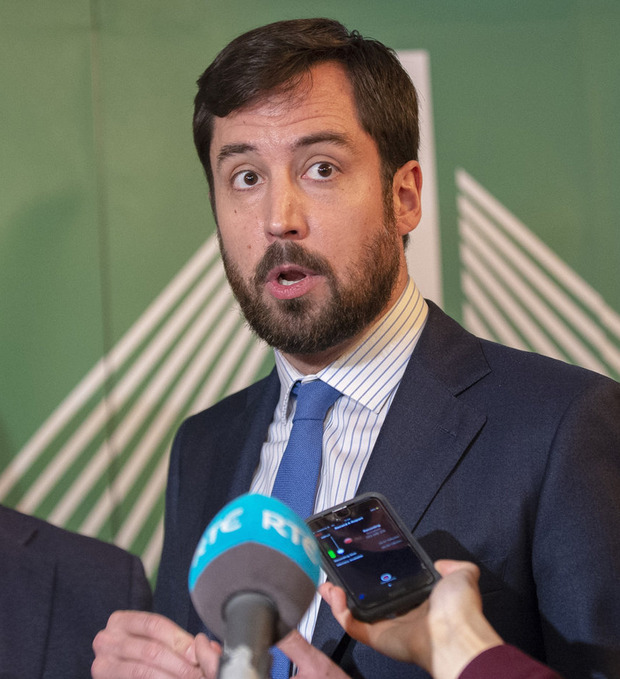 With access to three airports and four ports, the Newry-Dundalk-Drogheda corridor could prove an attractive alternative to businesses, says Minister Eoghan Murphy. The new cross-Border investment – or the M1 Corridor Project – was officially launched yesterday with the Housing and Local Government Minister saying having such a plan in place makes “more sense” with Brexit on the horizon. Speaking at the launch, Mr Murphy also repeated there would be no hard Border on the island of Ireland in the event of a no-deal Brexit. The project is aimed at attracting more international investment into the region, which has 2.25 million people within an hour’s drive of the Drogheda-Dundalk axis. Some 80,000 people commute out of the region on a daily basis, but this plan hopes this number will reduce as businesses come to the area. The project will promote the transport infrastructure that makes Drogheda-Dundalk-Newry, as the M1 Corridor, an attractive alternative to Dublin and which includes access to three airports, four deep water ports as well as rail and road links. It also has access to SIRO broadband with speeds of up to 1GB. Mr Murphy said the plan “hits a lot of the key objectives under the National Planning Framework of Project Ireland 2040, which again is a plan we have been working on for a number of years as well”. Asked about Brexit and how the objectives of the plan can be met with Brexit, he said: “Surely Brexit makes it even more sense to have this plan and to have this investment, if there are going to be risks to our economy – and we know there will be from Brexit whether it is a deal or no-deal scenario. He repeated, “there isn’t going to be a hard Border on the island of Ireland, the Government has ready said that”.